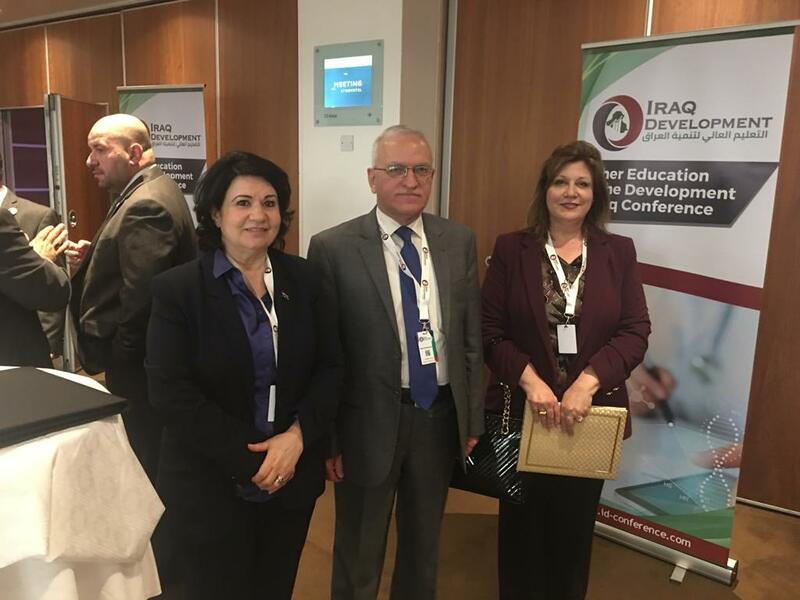 His Excellency minister of higher education and scientific research, Prof. Dr. Abdul Razaq Al-Issa signed a protocol of cooperation with Ammar British Foundation headed by Baroness Emma Nicholson on cancer control in Iraq. This came during a recent visit to London, accompanied by a delegation of ministry’s staff as well as Rector of University of Baghdad, Prof. Alaa Abdul Hussein Abdul Rasool, director of the national pioneer center for research cancer at University of Baghdad, Prof. Dr. Nada Abdul Sahib al-Alwan in addition to a number of presidents of universities and private colleges. The Protocol paragraphs provided for joint coordination between the parties to support the implementation of a national strategy to control cancer in Iraq as well as to build capacity in diagnosis and treatment of cancer among children and women as well as to promote the activation of palliative care for cancer in Iraq. The signing ceremony of the agreement witnessed the presence of Dr. Saleh al-Tamimi, the Iraqi ambassador at United Kingdom.